Q. 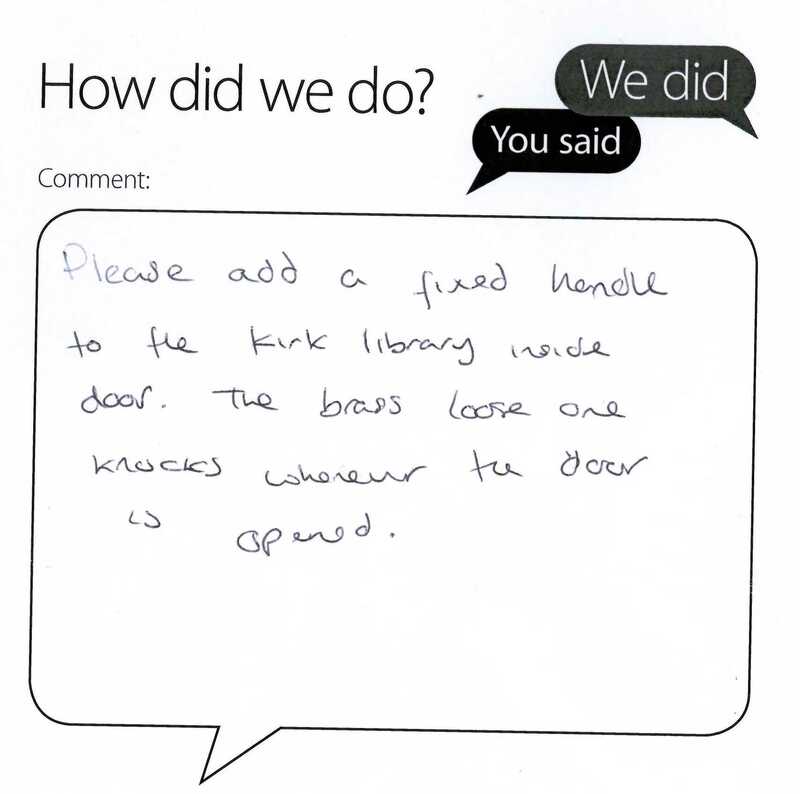 Please change handle on inside door leading to Kirk library. Thanks for your comments. As you may know, the brass handle on the side of the door was recently removed in as part of adjustments that were being made to the access control system. My understanding is that the brass handle leading from the foyer side has been retained as it is an original piece of ironmongery and therefore something that we would ideally wish to retain. Yours is the first complaint about this specific issue but we will keep an eye on (or rather, an ear out) the situation and may change the handle at a later date.